Leland coach Jason Stowe expected a fantastic game last night and while the 54-52 loss was a heartbreaker, there’s no doubt that the game (tied 22-22 at halftime) delivered all that excitement and more. It came down to a final shot and was a tremendous game. If Ellsworth is the number one team, I think it’s pretty clear that Leland was #2 – congratulations on a great season, Leland! Last night Leland captured the regional opener with an 85-67 victory over Hillman. 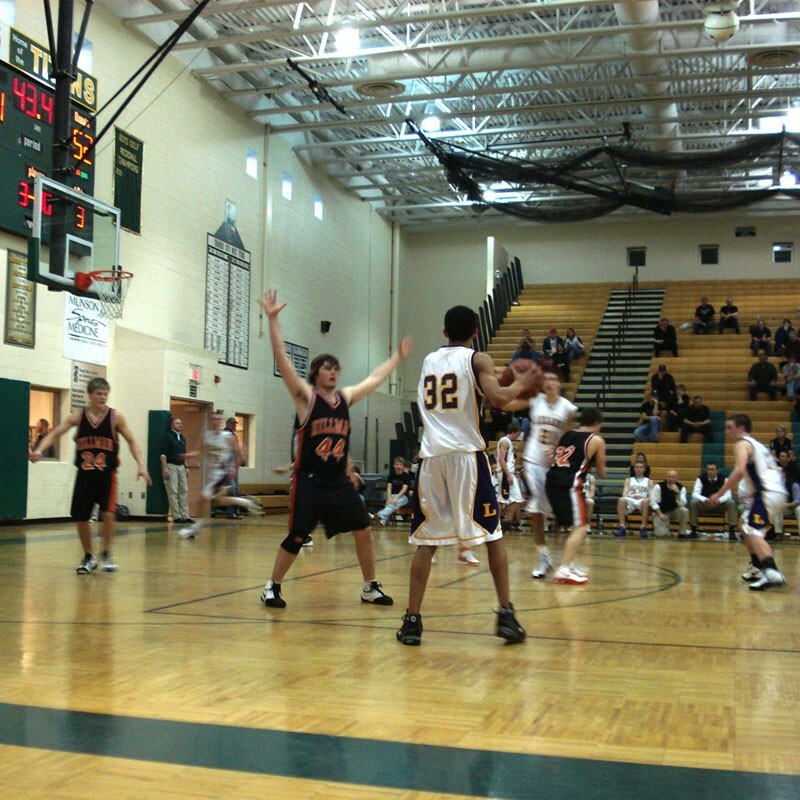 The Record-Eagle reports that 6′ 4″ Comet center Galen Whittaker led the way with a season-best 32 points and 16 rebounds. Leland will meet 23-0 and number one Class D Ellsworth in the regional final on Wednesday night at 7 PM. Leland won the regional crown a year ago, but coach Jason Stowe knows repeating will not be easy. He came away impressed with the Lancers. “They’re No. 1 in the state,” Stowe said. “They haven’t lost yet. They’re a very impressive team. They like to dribble drive. They have great athletes, great shooters, They know how to win — and that goes a long way this time of year. So does Ellsworth coach Tex Drenth. On Friday night Leland captured the Class D District title with an 81-55 victory over Lake Leelanau St Mary. Leland rode a balanced attack to fend off repeated charges by a determined Eagles squad. 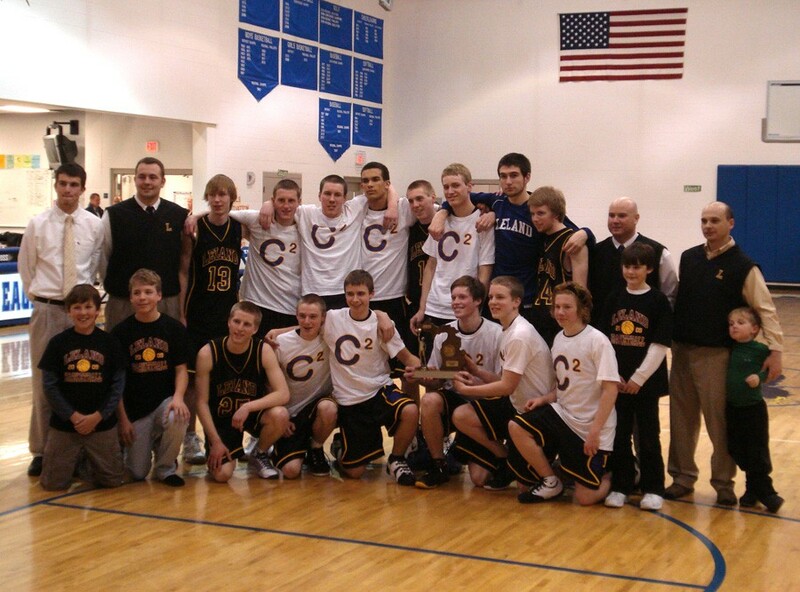 The Comets (17-7) move on to meet Hillman in the Regional opener tonight at 7 PM at Traverse City West Senior High. The winner of tonight’s game will meet the winner of Mio vs Ellsworth on Wednesday at (I think) 7:30. In other news, Suttons Bay fell by a score of 60-46 to Forest Area. The Record-Eagle has an article on the game. Photo Friday: North Manitou Island – Ivy Valley by cedarkayak Happy St. Patrick's Day!